The best sleeper sofa bed won't give you only a conducive space to accommodate guests, but they will also add to your furniture giving you additional seating space at all other times. For me, this counts as the most prominent win-win situation because why would I spend so far on a guestroom bed that would only be used very few times a year? Investing in the best sofa bed saved me money, space and the embarrassment of not having anywhere to accommodate my guests. You never really realize the importance of having a sleeper bed until the need arises to host guests and you know you cannot accommodate them in your tiny apartment. Of course, this is followed by profuse apologies as well as overwhelming embarrassment. The situation worsens even further when you have to offer your uncomfortable sofa as the next best seeping option. Your guest might not complain, but you will obviously know that you are not getting nominated for “Hostess of the Year” award anytime soon. What if you live in a cramped apartment and cannot afford a guest bedroom let alone an extra guest bed? This is where the best sleeper sofas come in handy. The best sleeper sofa can easily go from being an ordinary sofa to being a comfortable bed when the need arises. Even if you do not entertain guests very often, this piece of furniture would still be handy for daily use thus proving to be an economical purchase. The market is flooded with different kinds of sleeper sofas by different manufacturers so picking out the best sleeper sofas can be a bit of a hassle. 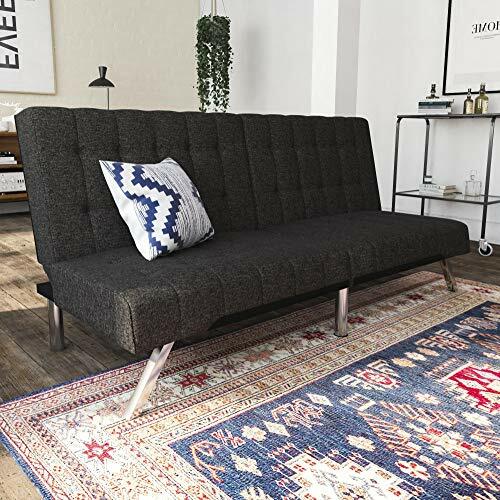 These sofa beds reviews will give you an idea of what to look for thus making you more informed before you buy a sleeper sofa. Being a futon sofa bed, this is as simple as sleeper sofa beds go. Futon sofa beds tend to occupy much less space as compared to traditional pullout sofa beds thus making the latter ideal for tighter spaces. The slanted chrome legs, as well as the rounded edges, give the squared tufted design a nice polished look. This modern chaise lounge with eye-catching grey linen upholstery could fit into any existing decor within your office or home. The versatile split back can be adjusted easily to transition from sitting to lounging to sleeping. The fact that it is split into two ensures that even when two people are sitting on the sofa, each can adjust the back to their preference without interfering with the comfort of the other person. The full cushions remain firm even after daily use of the sofa bed. The foam and polyester filling ensures comfort both when sitting and when sleeping to ensure you do not wake up with soreness pains. Just like all the best sleeper sofas in the market, this one comes with an easy-to-operate mechanism. The result is that you do not have to struggle to convert the chaise lounge to a sleeper sofa and one person can easily do the job. It comes in a variety of colors namely Grey, Black, Brown, Burgundy, Navy, Tan and Vanilla. Sitting dimensions: 71”W x 30”D x 32”H. When laid flat, the bed is about full size. The chaise lounge has a 1-year limited warranty. Eye-catching design with a sleek look. Has a versatile split back. Might feel excessively firm to some people's liking. Combining relaxed comfort and the support of memory foam, this Sleep Mater Memory Foam Gel Sofa Mattress is the perfect replacement for your uncomfortable sleeper sofa bed mattress. The Bio-foam used employs natural plant oil instead of petroleum. The result is a foam that has been infused with all natural active charcoal and natural green tea extract, thus giving it the ability to absorb moisture and eliminate odors. With these properties, your foam sofa bed mattress will always remain fresh. The mattress comes with a knitted jacquard cover that is pleasantly soft. The removable cover is zippered around 3 full edges for quick and easy removal. Another thoughtful design aspect is how the metal head of the cover’s zip is tucked into the fabric to prevent it ripping any sheets. The mattress comes rolled up in a white disposable fabric-like tube within a plastic bag. To unpack, you just cut the plastic open and unfurl the mattress allowing it to expand to its original size. This should ideally be done about 48 hours before you first use it. Just as well, do this in an open, airy room to get rid of any chemical smell. The 5-inch thickness of this sofa bed mattress may not precisely be luxurious, but it is sufficient heft for a good night’s rest. Also, the suitable thickness allows the mattress to fold into the sofa bed easily when not in use. Available in full, queen and twin size. The 5-inch thickness comprises 4 inches of high-density base support foam and 1 inch of gel memory foam. The foam used is CertiPUR-US Certified thus guaranteeing durability, comfort and performance. Has a 5-year limited warranty. Patented smart shipping technology efficiently saves on space and shipping costs. Has the conforming support of memory foam. Contains natural plant oil instead of the traditional petroleum. Contains natural green tea extract, which maintains the freshness of the mattress. Does not have sufficient heft to offer adequate support to heavier sleepers. Serta® furniture is specially designed for small living spaces. This particular sofa comes in a simple one-box packaging and assembling the different components is a very easy and tool-free process. The sofa is made from top tier 100% polyester in multiple textures. The ultra-high grade corduroy-textured fabric is not only easy to clean but also durable. Just as well, the sofa employs a strong hardwood frame and premium sinuous coil for enhanced support and comfort. Also for enhanced sturdiness, support and comfort, the cushions have high-density foam pocketed coils meant to create the best sleeper couch. You can get this sofa design in a 73”, a 78” and a 61” Love-seat. There are a variety of colors to choose from namely Chestnut Brown, Fawn Tan, Flagstone, Glacial Grey, Riverfront Brown and Silica Sand. Has a modern “track” arm style complete with plush fabric. The base of the sofa is in the design of a 2-piece split with a center footer for guaranteed sturdiness. The sofa comes together with 2 – 16”x 16” decorative pillows. Has a unique compact size. Made from quality hardwood materials. Provides comfortable and supportive seating. The cushions are not reversible. The classic look of the grey linen upholstery, the tufted detailing and the tapered wooden legs all give this modern chair a timeless look. The design is more of a combination between mid-century and modern and the result is a piece of furniture that could fit right into any space be it at home or at the office. Besides folding the back down all the way to create a sleeper bed, this multi-functional sofa works somewhat like a beach lounger. What this simply means is that you can change the angle of the seat back allowing you to sit/sleep in different reclining positions. Assembling this sofa right of the box is very easy. Also, it is easy to convert it from a sofa to a sleeper sofa and back to a sofa. The firmness of the couch may count as both an advantage and a disadvantage. For those who like a bit of softness, several sofa bed review sites suggest you get a mattress topper as this makes the sleeper sofa much more comfortable. Comes with a double/full size. Sitting dimensions: 80.5”W x 34”D x 33”H. Sleeping dimensions: 72”W x 42” D.
Seat back can be reclined to different angles. The armrests are screwed into the frame and hence do not come off when the sofa is folded out into a bed. You can get to enjoy this sofa the minute it is delivered to your doorstep. The couch comes already assembled, and you just need to make sure your doorway is no less than 32”. This earth-toned pullout sofa features rounded arms, nail-head trim, and tufting and exposed feet with faux wood finish. The high-resiliency foam seat cushions wrapped in thick basil-hued poly fiber with a neat, corded trim are firm yet comfortable. The whole look is classic and timeless making this the best sleeper couch for making a statement in any space. The corner-blocked frame is well-crafted, and the sleeper sofa employs an easy-lift mechanism. This allows the concealed innerspring bi-fold queen-size mattress to pull out effortlessly on a well-constructed sturdy steel frame. 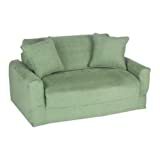 For lumbar support, the sofa features bustle backs, and the comfortable armrests are well cushioned. You can choose between a spring mattress and an innerspring mattress. 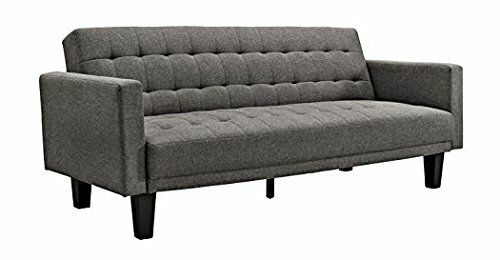 Sofa measurements: 89”W x 39” D x 38”H with a seat height of 20”. Queen innerspring pullout mattress measurements: 60”W x 72” D x 4.25”H. The mattress effortlessly pulls out. The sofa is rather heavy. This chaise lounge sofa bed sleeper is actually a 2-piece set held together by Velcro. There are one chaise lounge and one futon sofa. This provides immense versatility in terms of how you can arrange the furniture. You could have the two of them arranged as a sleeper, as a sectional or in other different designs. With this set, simply let your imagination run wild as you give your space a modern look and feel. The tufted faux leather upholstery, the chrome legs, and the vanilla white color give it a very contemporary sophisticated look. This way, you get to have not only extra sleeping options for overnight guests, but you also get to upgrade the look of your home/office giving it a nice modern twist. Besides employing a contemporary modern design, the seat is also very comfortable. However, if you intend to sleep on it every night, several sofa bed review sites suggest you get a topper mattress for added comfort. If you are looking for a hassle-free chaise lounge that can easily convert from a sofa to a lounger, to a chaise, to a sleeper, then you should go for this brand. Sleeper dimensions: 70”D x 30”W x 15.4”H. Chaise dimensions: 61.4”D x 30”W x 32”H. It is actually a 2-piece set held together with Velcro. The set is very versatile. 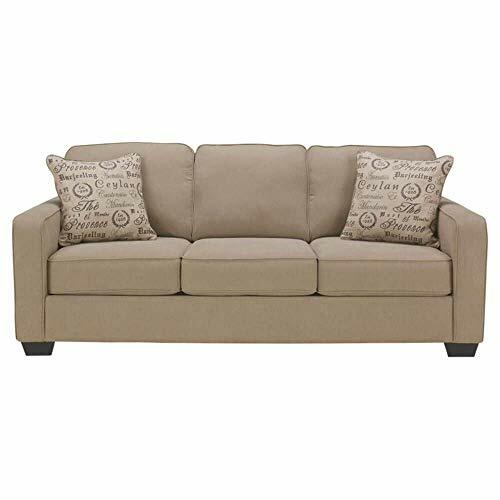 The sleeper sofa has a corner-blocked frame, track arms, tight back, and neatly tailored high-resiliency foam loose seat cushions with corded trim. The whole sofa, including the cushions, is upholstered in high quality long lasting microfiber, complete with two aesthetic throw pillows and a queen-size innerspring mattress. The throw pillows are easily washable. You may learn how to wash throw pillows without removable cover from my other post. The bi-fold innerspring queen size mattress easily pulls out on a sturdy steel frame guaranteeing the durability of this sleeper sofa, and the accent pillows have polyfill within them. The sofa comes already fully assembled. You just need to make sure your doorway is 32” or wider to ensure you can get the sleeper sofa into your living space. Choose from two color options: charcoal and quartz. Besides this sleeper sofa, the same design comes with sofa and Love seat options. Sleeper sofa dimensions: 84”W x 37.5” D x 38.5”H with the seat height being 20”. Queen-size innerspring mattress dimensions: 60"W x 72"D x 4"H.
Has a sleek mid-century design. Printed throw pillows create visual interest. Has both short and higher legs included within the packaging. The original spring coil mattress this sleeper sofa comes with is slightly uncomfortable. The high-nap chenille upholstery fabric combines sophisticated sheen and comfortable plushness. The rolled arms soften the visual lines on this sleeper sofa giving it a nice streamlined design. The sofa features a corner-blocked frame with exposed feet featuring a faux wood finish. The loose seat cushions have ultra-supportive pocketed coils within them for added support and comfort. Just as well, the cushions are made of high-resiliency foam wrapped in thick poly fiber. Still, on functionality, the sofa features a tight bustle back for lumbar support. Also, the sleeper sofa employs an easy-to-lift mechanism. In terms of aesthetics, the nail head trim and tufting and the pillow top armrests give the sleeper sofa a very comfortable vintage look. You may get this design on a sleeper sofa, a sofa or a Loveseat option. For the sleeper sofa, the distance between its arms is 68.5”. Choose from a memory foam mattress and an innerspring mattress. It comes pre-assembled, apart from the feet. The grey color easily blends into any existing room decor. The mattress it comes with is thin and can get rather uncomfortable with continued use. Ashley Furniture Signature Design® has a great reputation for having been in the furniture business since 1945. As such, you can always trust to get stylish furniture and furnishings befitting any modern and contemporary home. Whatever your budget or preferential tastes, you can always find something that adequately suits your preferences. 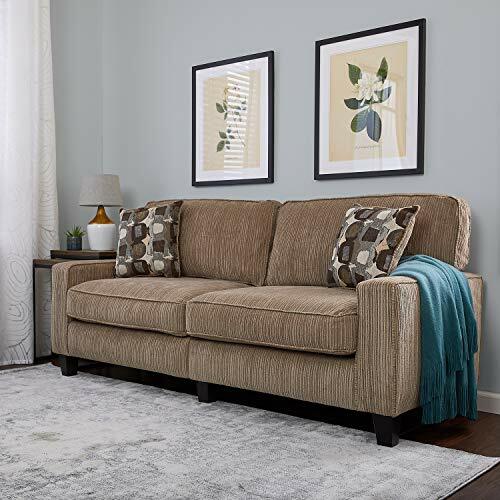 The fluid curves, the soft neutral gray upholstery, the sophisticated tapered feet and the flowy visual lines on the cushions unbroken by corded trim are all elements that contribute towards the sleek, chic look of this contemporary sleeper sofa. The high-resiliency foam cushioning are wrapped in thick poly fiber. This creates a seat that is pleasantly plush and very comfortable to sit on. When converted into a sleeper bed, the queen-size innerspring mattress is equally comfortable guaranteeing that your guests will have a restful night’s sleep. This Hannin sleeper sofa comes with two colorful toss pillows in attractive geometric patterns, which give an immediate pop of color to the grey seat. Once the sofa has been delivered to you, all you would need is a good screwdriver to remove shipping cleats, and your sleeper sofa is all set up! Just make sure your doorways are wider than 32”, or you will not be able to get the sofa into your house. Available in two colors, Grey Lagoon and Red Spice. Comes with three styles: sleeper sofa, sofa, and Loveseat. Seating measurements: 82" W x 37" D x 38" H.
Comes with decorative throw pillows. The seat cushions have removable, washable covers. It comes with a decently comfortable mattress. The sofa is only available in two colors. One thing to note about these Fun Furnishings® kids sleeper sofas is that different colors are priced differently although the sofa retains the same dimensions. Therefore, keep this in mind when you are looking to purchase the best sofa sleepers. For instance, it will cost you more to buy this sofa in fuchsia than it will cost you to buy it in blue. The 100% polyester removable zippered cover allows you to easily clean and cares for the sofa. This is a very important aspect considering the fact that the sofa is meant for kids and children can get quite messy. The lightweight nature of these kids sleeper sofas allows for easy move-ability. You can easily take the bed from the kids’ playroom to the family room when its movie night and take it back during play dates. This makes the little couch comfortable giving the child adequate support whether they are seated or sleeping. Available in Blue, Pink, Green, Brown, Fuchsia, Lime Green, Purple and Royal Blue. Sleeping measurements: 47”L x 30”W. Made from high-quality density foam. Comes with a removable and washable slipcover. Ideal sleeper sofa for kids. Very lightweight allowing easy movability. Several users found this sleeper sofa to be a bit too expensive. These are designed primarily for sitting and so the cushions are normally very comfortable. They come with a comfortable full- or queen-size mattress and these top rated sleeper sofas are normally rather expensive. 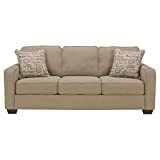 As you may have already figured from sleeper sofa reviews, futons are very popular with college kids. They are light in weight and fold out rather easily. Futons are however not very comfortable since they are made of cotton batting and low-density foam which tends to harden and clamp up with time. This is the best affordable sleeper sofa to go for. Daybeds are more of a bed than a sofa. They are ideal for those who plan to use their sofa beds primarily for sleeping, rather than for sitting on. The standard size is normally a twin or full bed. 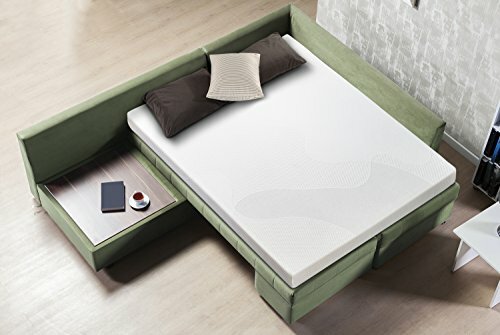 How can I tell the innerspring mattress is going to be comfortable? Innerspring mattresses contain coils, which give the mattress its bounciness and give. To know which one will be comfortable, look for those with a higher number of coils. The best sleep sofa innerspring mattresses have no less than 600 coils. For extra comfort, look for top rated sleeper sofas with springs that have been stress-relieved, but keep in mind that this will cost you much more. Which is the best sofa bed frame to go for? The best sleeper sofas comprise a frame made from kiln-dried hardwood. kiln-dried because this way the wood will be completely moisture free preventing warping and cracking over time, and hardwood because hardwoods are much stronger than softwoods. Alternatively, the best sleep sofa frames are sometimes made from a combination of hardwood and furniture-grade plywood. What element of the best sofa sleepers should I pay particular attention to? The opening and closing mechanism. If you are buying the bed physically, try opening and closing it in the store to ensure you can do it without struggling. The best sofa beds will open and close without any squeaks, wobbly parts or stick. 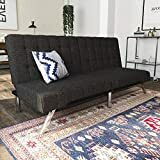 If you are making the purchase online, go through sofa beds reviews to see what previous purchasers are saying about the product. This will guarantee that you end up only with the best sofa beds. The best sofa sleepers are perfect for accommodating overnight guests and creating extra sleeping options within your home. Better yet, you could purchase a sleeper sofa for your office allowing you to catch a nap in between meeting or during those late nights spent burning the midnight oil. 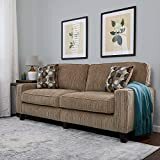 I cannot emphasize enough on the importance of going through online sleeper sofa reviews and doing a good deal of research before you buy a sleeper sofa. This will save you many disappointments down the road as you try to find the best affordable sleeper sofa.